Diabetes patient tips for nurses, overtime risks for stroke, using community health workers right, and we’ll have an interview with Nurse/Author/Podcaster Keith Carlson on his latest book project for nurses. If that's what you're looking for, you found it. It's the Nursing Show. This episode is sponsored in part by Physio-Control Inc. and their tools to help nurses and other health care professionals continue to ... See More innovate their patient care. 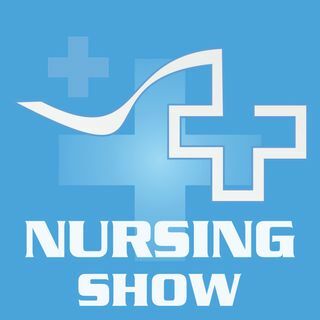 Good day and welcome to this week's episode of the Nursing Show podcast for nurses, by nurses. I'm your host Jamie Davis and I'd like to take this opportunity to thank you for checking out the show this week. First up, in this week’s nursing news items, we have a great article on some patient diabetes management tips I found over at Nurse.com. Then, in this week’s special tip and interview segment, I have nurse/author/podcaster Keith Carlson back on the show to talk about his new book. Entitled “Savvy Networking for Nurses: Getting Connected (and Staying Connected) in the 21st Century,” the book is a tool on using modern tools like social media to forward your nursing career. Are you doing the right things online to keep your career as a nurse moving forward? We’ll have answers to that and more later in this episode after the news. If you want to get back in touch with me, please drop me an email. You can send those e-mails in to NursingShow@Gmail.com. I love to hear from you and I make sure I respond back to every email that comes in. Send me links to news items you'd like me to cover, interview suggestions with you or somebody you know. I’ve had Keith Carlson on the show before in an interview with him as the co-host of the RNFM Radio podcast. He’s also the host of his own separate podcast called “The Nurse Keith Show.” He’s a board certified nurse coach (NC-BC) and is currently the Chief Nursing Officer and Director of Nursing for a small home health agency in New Mexico. I wanted to bring him back on the Nursing Show because of his latest project, a book called “Savvy Networking for Nurses: Getting Connected (and Staying Connected) in the 21st Century.” Check out this segment networking tips for nurses where I chat with Keith about his background, what spurred him to create his book, and what you can expect to get from it.